Roulette is not the invincible game that it is often presumed to be, but there's no question that you will need the right strategies for success. 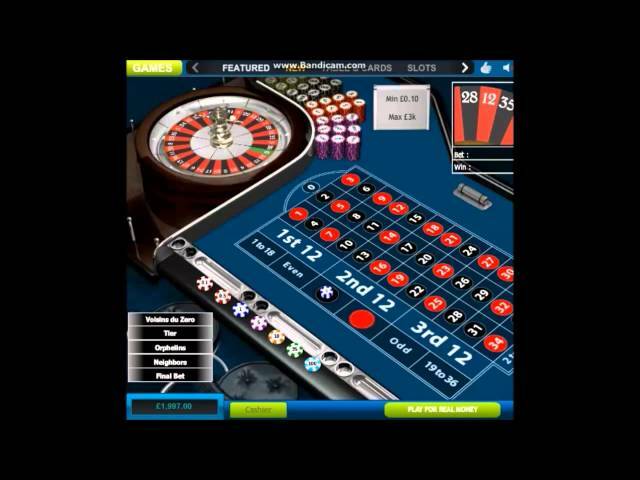 With roulette being played at such a leisurely pace compared to so many casino games, thereby allowing a lot of thinking time, it might not be a great surprise to you to learn that a vast range of systems has been devised for the different types of roulette over the years. 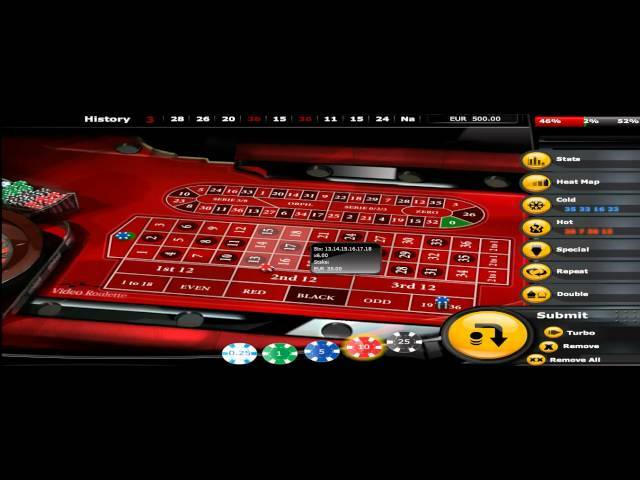 Here at Top 10 Best Online Casinos, we therefore decided to list some of the most popular roulette systems and what the player needs to know about them. If there is a granddaddy of roulette betting systems, it has to be the Martingale. It isn't applied solely to roulette, the term having been used for an entire class of betting strategies that originated from and were popular in 18th-century France. The Martingale is a double-up-after-you-lose progressive betting system - in other words, when you lose a bet, you follow it up with a bet that is double the size. So if you wager £5 on black and a red number wins, you would lose the £5 you wagered but then bet double that amount, or £10. The assumption behind the system is that if you continue to double the size of your bet after each loss, as soon as you win, you will recoup all of your losses. This may seem like sound logic given that you do, after all, have a 50:50 chance of winning each time; however, there's also the risk that you will run out of money before you get the win that will recoup your losses. This strategy was invented by a man called Kavouras, who based it on the principle of randomly betting on a variety of numbers around the wheel. He felt that this lowered the volatility of the game and reduced any losing streaks. Kavouras believed in choosing his numbers at random, rather than forming any patterns with the placement of his bets, in acknowledgement of the nature of roulette as a game of chance. Those following this strategy are also urged to never bet the same amount on every number, instead spreading and differentiating their bets, as well as to keep their bets low, as a means of heightening profits and reducing losses. The main disadvantage of this system is its inability to influence the casino's built-in advantage known as the 'house edge'. Critics argue that this strategy is simply a way to place chips to diversify the game play and keep things interesting for the gambler. The assumption underpinning this betting system is that if Bet A is victorious more often than Bet B, Bet A is surely less likely to win again, and Bet B is more likely to win. It's for this reason that the strategy involves the player decreasing their bet by one unit following a win - on the basis that the same bet is less likely to win again - and increasing their bet by one unit after each loss, assuming that victory is more likely next time around. This system is, indeed, comparatively 'safe' given the low and more sustainable betting amounts involved. Even if you do go on a long losing streak, the losses occur at a slower rate that is the case with other systems. The big problem, though, is that a roulette wheel does not have a memory, so doesn't know that it's supposed to 'balance things out'. Each spin of the wheel is an independent, random event that is not influenced by any spins before it. If you're familiar with the renowned Italian mathematician Fibonacci, you will probably have some idea of the principle behind this roulette system. Basically, it's all about adding together the last two digits in the sequence - or the last two bets you made. So if you bet £1, for instance, and lose, you should bet £1 again, and if you lose that bet, you should follow it up with a £2 bet. If you lose that bet as well, bet £3 (because £1 + £2 = £3). If you win, however, the system involves going back two numbers in the sequence, meaning that if the aforementioned £3 bet wins, a £1 bet should be placed next time. While this strategy has been shown to be a potentially profitable one, it's easy to get stuck into a losing streak, with the losses rapidly stacking up. Author Ian Fleming described this as his ‘foolproof’ system, so read carefully. £100 is a good starting balance for this strategy, although you can scale it to suit all manner of budgets. The idea is to cover a large number of outcomes so that with each win, you can guarantee a profit. Only when a low number result appears do losses occur. Place £5 on Green Zero, £70 on 19-36 and £25 on the Six Number Combination of 13-18. With each spin, the total stake will be £100, which might seem like a significant risk, but it’s worth bearing in mind the wide range of outcomes covered. Indeed, with each spin, you have an about 64% probability of winning. If you get any number from 19 to 36, for example, the above strategy will give you a £140 return for a profit of £40, while the profit from one of the Six Number Combination of 13-18 would be £50, given that the total payout would be £150, minus the initial stake. As for Green Zero, that would give you an £180 return and £80 profit. Only if you get a number of between 1 and 12 would you suffer a loss. If this happens, it’s advised that you simply adopt the Martingale strategy of doubling your stake. Given that the odds will be on your side for each spin, you will have a good chance of recovering a sizeable proportion of your losses with just one spin. As we mentioned above, though, the wheel has no memory, so you can’t rule out going on an unfortunate losing streak. If you’re unlucky, you could lose a lot of money very quickly using this system, which is why we would recommend it strictly for short-term wins only. 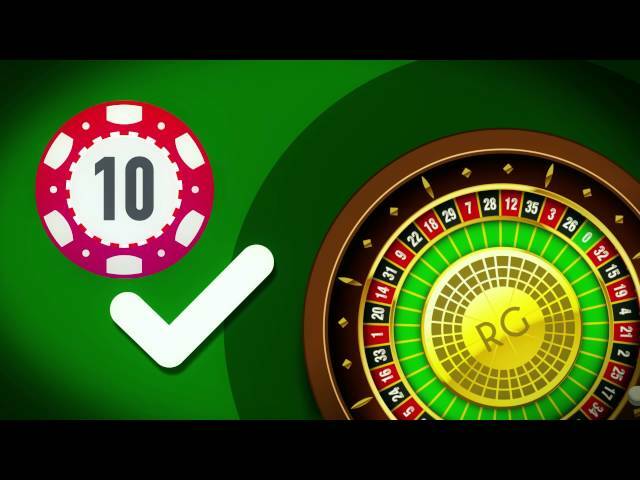 Would you like to learn more about the best places on the web to play roulette and experiment with these strategies? If so, simply take a look at our casinos’ reviews and ratings for the various leading casinos to guide your choice.